In this work, medium pressure plasma treatment of polylactic acid (PLA) is investigated. PLA is a biocompatible aliphatic polymer, which can be used for bone fixation devices and tissue engineering scaffolds. Due to inadequate surface properties, cell adhesion and proliferation are far less than optimal and a surface modification is required for most biomedical applications. By using a dielectric barrier discharge (DBD) operating at medium pressure in different atmospheres, the surface properties of a PLA foil are modified. After plasma treatment, water contact angle measurements showed an increased hydrophilic character of the foil surface. X-ray photoelectron spectroscopy (XPS) revealed an increased oxygen content. 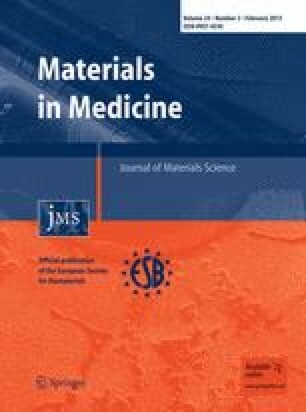 Cell culture tests showed that plasma modification of PLA films increased the initial cell attachment both quantitatively and qualitatively. After 1 day, cells on plasma-treated PLA showed a superior cell morphology in comparison with unmodified PLA samples. However, after 7 days of culture, no significant differences were observed between untreated and plasma-modified PLA samples. While plasma treatment improves the initial cell attachment, it does not seem to influence cell proliferation. It has also been observed that the difference between the 3 discharge gases is negligible when looking at the improved cell-material interactions. From economical point of view, plasma treatments in air are thus the best choice. R. Morent acknowledges the support of the Research Foundation Flanders (FWO) for a post-doctoral research fellowship.